People were flocking in at Jeumpa D'Ramo yesterday and shoppers head home happy with shopping bags within their grasp. 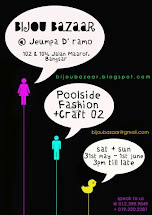 Day 1 of Bijou Bazaar was filled with Artists , Cupcakes and tidbits, Teh Botols , independent young designers, Deckspinners , local musicians , photographers , media representatives , other fashion traders like us, and not forgetting the rubberduckies at the kid's pool. For those who missed out Day 1, we hope to see you there today! We love your Jason Mraz - I'm Yours cover! 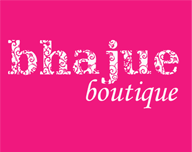 and, of course Bhajue Boutique!